The Most Affordable Full-Featured Cloud POS Ever! The uAccept Point of Sale System offers businesses a complete POS at a fraction of the cost of other systems. 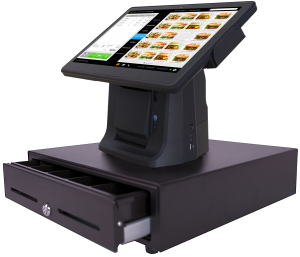 With uncompromising quality and enterprise class functionality, this is the last POS system you will ever need to buy. 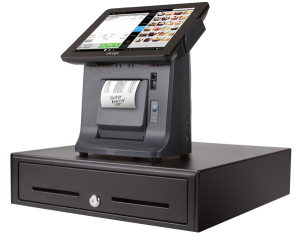 The uAccept MB4000 offers your business a fully-integrated touch screen POS system with cloud-connected software to help you save time and money. Every feature in the MB4000 is the same as the smaller models except for the large 15.6″ touch screen. 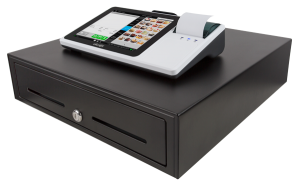 The integrated magnetic reader, integrated printer, customer facing display, and an includes the same full size 5 bill cash drawer. The powerful cloud software allows you to access real-time business data from any internet connected device. With unlimited and secure data storage in the cloud for the life of your account, you can work when and where you want.